David Léclapart is managed by a third generation of Champagne winegrowers in Trépail, classified Premier Cru of the Champagne region. It also is a jewel vineyard, because it is located on the Montagne de Reims and spreads on 2.75 only. The dominant variety is Chardonnay to 90% and the other 10% are planted in Pinot Noir. 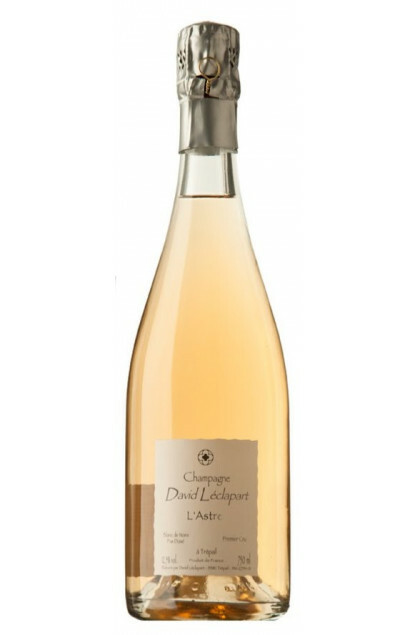 This land has a great potential, and David Léclapart’s expertise manages to reveal its qualities : powerfulness, minerality, length. Every vintage is crafted like a rare piece of jewelry. These are Champagne with great potential of ageing in cellar, away from light and noise and bottle laid flat. 3 vintages : recognizable by their back label “L.V11” which indicates the year 2011… Every vintage start with the letter A, to announce the common birth of champagnes and David’s winegrower skills.